A sexual assault trial involving the former coach of the Canadian national women's gymnastics team has been delayed until Tuesday. Dave Brubaker, 55, is facing multiple sexual offences spanning an eight-year period from 2000 to 2007. A sexual assault trial involving the former coach of the Canadian national women's gymnastics team has been delayed until Tuesday. Dave Brubaker, 55, is facing multiple sexual offences in Sarnia, Ont., spanning an eight-year period from 2000 to 2007. The allegations stem from a series of incidents involving Brubaker and a female who he was coaching and was under the age of 16 during at least some of the alleged offences. Canada's Kyle Shewfelt captured gold at the 2004 Olympics in Athens and is now a coach in Calgary. 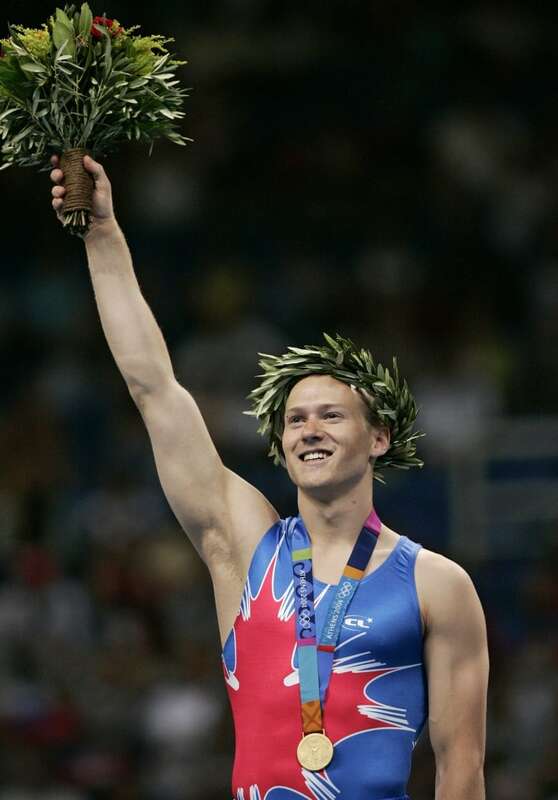 (Kevork Djansezian/Associated Press)Calgary's Kyle Shewfelt, a 2004 Olympic gold medallist in gymnastics and now a coach, has known Brubaker for years and said he was in "total shock" when he first learned of the charges.